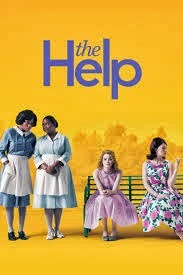 I loved the popular bestseller, The Help. If you haven't read The Help, it is a fun read that captures the essence of the Deep South during the 1960's and the beginning of the Civil Rights Movement. The dialog is authentic, and the story is full of hilarity, tragedy, history, and warmth. When I saw the movie, the audience applauded at the end. People left the theater with big smiles and tears at the same time. The story is just like that, a delightful combination of contrasts--acceptance and prejudice; love and hate; funny and sad; Skeeter (nice girl) and Miss Hilly (mean girl); Aibeleen (sweet) and Minny (feisty). One of my favorite Southern women is my friend Leigh. I would best describe her personality as a Skeeter/Minny combo. She is smart, sweet, funny, and feisty. She can cook grits and cornbread like Paula Deen, but she's all about eating healthy. Leigh is truly a contrast, a great Southern cook with 20% body fat. Leigh likes her food low fat/low carb, and it better taste good. So you can imagine my surprise when we were out one morning, and she pulled into the drive thru at Dunkin Donuts. "What are you getting?" I asked, "Coffee?" "No Annie Mae, said Leigh, "We're gettin' breakfast." I thought she had lost her mind. Seriously, is this what excessively fit people do when they go bonkers, they order a dozen cheese danishes at Dunkin' Donuts? Leigh wasn't relapsing into a carb binge. She had discovered the Dunkin' Donuts Egg White Veggie Wake-Up Wrap. (Talk about an oxymoron!) At 150 calories, 6 gms of fat, 14 carbs, and 10 grams of protein, the Egg White Veggie Wake-Up Wrap meets her requirements for a healthy breakfast on the run. You can also get it with egg whites and turkey sausage, or with a plain egg. I had one, too, and it was good! Did I tell you we were at Dunkin' Donuts? I guess the fast food places are starting to listen to the nutrition conscious customers, because I discovered another fast food super healthy breakfast at Subway. For a mere three dollars, you can get a Flatbread Breakfast Combo with your choice of egg or egg whites, cheese, vegetables, and/or bacon or ham, and a 16oz. coffee or juice. What is the world coming to? Subway offers breakfast items until 11:00am. I am pretty sure Dunkin' Donuts has them all day. I'm not going to lie to you. These healthy breakfasts can never replace the enjoyment of biscuits, country ham, and cheese grits. Sometimes it just has to be bad to be good, y'all. Protein shake with egg is a perfect combination of fast and healthy breakfast. It's my favorite breakfast. I welcome your comments, questions, suggestions! Click on the down arrow next to "Comment as:" then select Name/URL. Type your name in the slot (ignore URL) and click "continue." Your comments will not appear right away. To avoid spam, I read all comments before they are published.